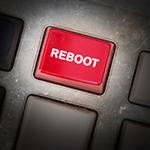 Your BBS Process May Need a Reboot! 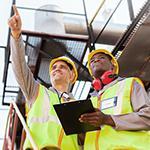 Behavior Based Safety (BBS) is a proven way of strengthening safe behavior and reducing injuries and close calls. Yet, we sometimes hear about BBS processes that started out strongly but have stalled. Perhaps the organization experienced a spike in safety incidents, the number of observations has dropped off, observation checklists seem “pencil whipped,” observers appear to be skipping feedback conversations, or some employees are simply disengaged. The process often seems to have a sense of staleness and low energy. Organizations in this predicament find that they need to reboot BBS to give the process a shot in the arm, often as part of their efforts to promote continuous improvement in safety. Is Your BBS Process Doing What it Needs to be Doing? 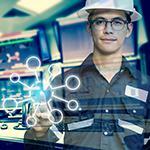 Last December, in Houston, the national OSHA Oil & Gas Conference brought renewed attention to the importance of addressing the prevention of serious incidents and fatalities. Drs. Terry McSween, CEO and President of Quality Safety Edge, and Judith Stowe, Co-Founder and Sr. Program Director, both presented papers on aspects of this topic in relation to Behavior-Based Safety (BBS). Numerous papers covered many of the basic issues in safety but these papers took a serious look at the fact that while individual safety is improving, serious incidents and fatalities have not shown the decline alongside of individual safety performance. While these presentations centered on the oil and gas industry, this phenomenon is also true in other industries such as construction.